Eureka, CA (May 8, 2018) – With the first race of the season being pushed back a week due to rain, the early schedule of the 2018 season at Redwood Acres Raceway was tightened up. Instead of a two week break, drivers, crew members and officials will have to make a quick turnaround for this Saturday as racing returns to the 3/8-mile paved oval. Pepsi will be sponsoring this weekend’s action, Pepsi Night at the Races. The cola brand has a long-time history of supporting the races at Redwood Acres Raceway for many, many years and 2018 is a continuation of their valued support. Coming off finishes of third and first, Nick Ford leads the standings in the Compass Community Credit Union. Ford won the second of the two feature events this past Saturday. Patrick Sproul has used two top finishes to hold down the second position. Ray Taylor, Jr. won the first main event and is third in the standings over his father, Ray Taylor, Sr. Dylan Ford rounds out the top five in the division standings. The bandeleros made their highly anticipated debut this past Saturday. Lane Anderson won a thrilling main event over Malessa Miles. Kadence Mace and Aiden Kimberling also ran well in their first race in the new division while Donnie Murrell had trouble and wasn’t able to finish the feature event. The main event for the NorthCoast Lighting And Electric Legends was a real thriller. Brad Curtice held off Chris Lawrence in close duel for the win. Defending division champion, Tyler Peach finished third and is in the same place in the standings. Brent Mack and Tyler Krupa are the other two divers in the top five. Ryan Walters has established himself as the driver to beat every time he steps into a car in the Fortuna Wheel & Brake bomber division. Unfortunately for Walters, he came in second place in the Four Star Realty main event to Nick Green. Third place in the standings is Acres veteran, Jim Redd while Sam Brown and Kolby Jackson complete the top five. Eugene Palmer had to overcome several early caution flags to win the main event for the Humboldt Hydroponics mini stock main event. Perineal contender Brian Murrell, Sr. is six points behind in second. Gary Klientobe is tied for third with Scott Taylor while Dylan Hagmann fifth. The Mid-City Motor World Super Six Challenge Series late models featured a memorable NorthCoast Lighting And Electric main event that ultimately was won by veteran racer, Mic Moulton. The man who finished second to Moulton in the standings in 2017, Brandon White is second. Two Oregon racers are third and fourth in David Miller and Brandon Ash. Ferndale’s Jim Walker lies fifth in the standings. While this previous race was 50-laps the upcoming races outside of the Firecracker 100 and the Fall Spectacular will be 60-laps. Bakersfield, CA -- Kern County Raceway is back in action this Saturday Night with three championship race divisions, all competing in twin main events. The NASCAR Late Models, NASCAR Spec Mods, and the INEX Legends will all compete in two main events in one night. Plus, the star of the Discovery Channel's new hit show "Twin Turbos", Brad Deberti, will bring his 1000HP ‘Drift Truck’ and put on a drift demonstration. DeBerti will also be driving for High Point Racing in the NASCAR Late Model main events. 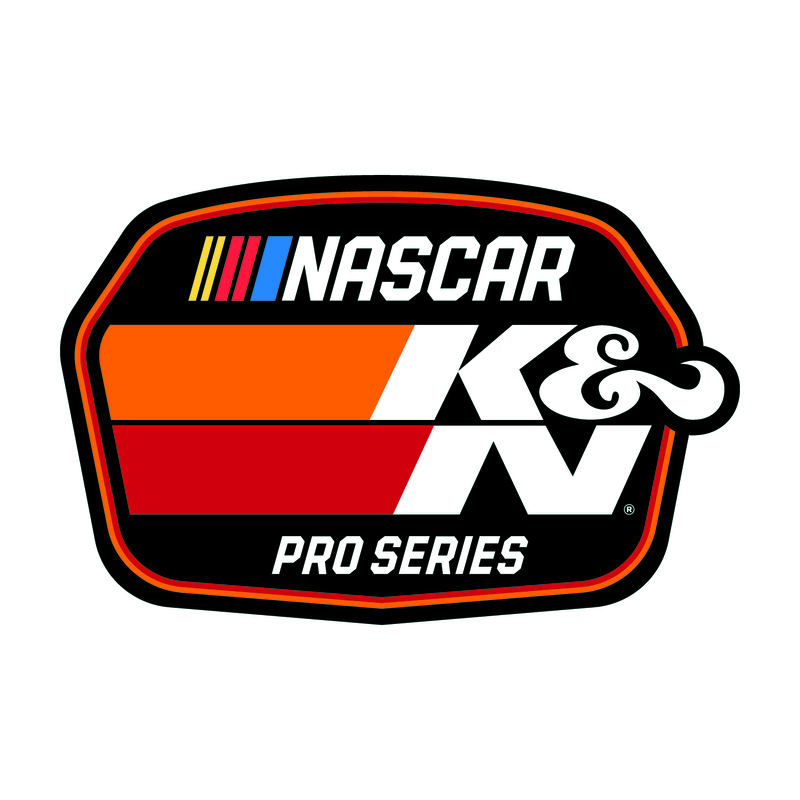 A stout field of NASCAR Late Model drivers will be at Kern County Raceway this Saturday night, including 2018 event winners Lawless Alan, Jagger Jones, and Brandon Weaver. Plus former Late Model champions Buddy Shepherd (2016) and Trevor Huddleston (2017). Several drivers will be making their 2018 KCRP debut; Madera’s Justin Westmoreland, Kayla Eshleman, Gabe Scheer, and NASCAR Next Driver, Hailie Deegan. The Spec Mod Division races into Saturday Night with a three-way tie for the championship points lead, as Eric Brust, Jim Coffey, and Jason Galvin all sit atop the standings. The INEX Legends will be lead into Saturday night by Colton Page and Josh Ayers who hold the top two spots in the championship standings. To celebrate Mother’s Day, KCRP is inviting ALL LADIES to the races free. ALL LADIES will receive complimentary admission. Bring Mom, Aunt, Sister, Daughter, or just your friend to the races. Spectator Gates will open at 5:30 pm and Racing begins at 7:00 pm. 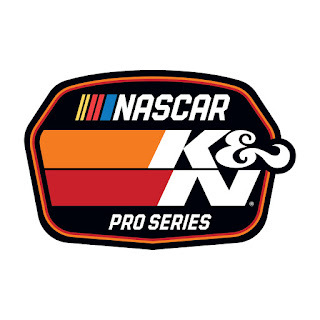 After a weekend off, Bakersfield's Place to Race, Kern County Raceway is back in action on Saturday, May 12th with a triple threat of divisions, all running twin main events! The NASCAR Late Models, The NASCAR Spec Mods, and The INEX Legends will all get two chances to make it to Raymond's Trophy Victory Lane! ​In addition to the great racing and family fun, KCRP is inviting ALL LADIES to the races on us!! In celebration of Mother's Day, ALL LADIES will receive complimentary admission! Bring Mom, Aunt, Sister, Daughter, or just your friend to the races! Plus Late Model Racer and star of the Discovery Channel's new hit show "Twin Turbos" Brad Deberti, will bring his 1000HP drift truck and put on a drift demonstration for the race fans!! ​Spectator Gates will open at 5:30 pm and Racing begins at 7:00 pm! The 2018 opening night for the North State Modified Series, presented by Protect the Harvest, will be at Shasta Speedway this Saturday, May 12. 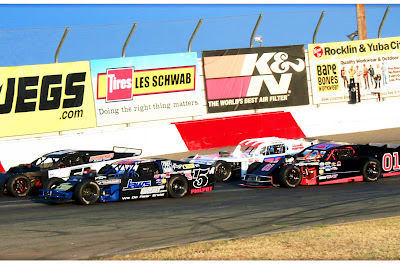 Shasta Speedway is located at the Shasta County Fairgrounds in Anderson, CA. The series made a tire change for 2018, and Hoosier Tire West is donating four Hoosier tires to each car competing in Saturday's feature events. This should guarantee a full field of modifieds for the NSMS season opener on the well-prepared 3/8 mile paved oval. The 2017 visit to Shasta saw Eric Johnson of Kelseyville set fast time over the 22-car field while 2016 rookie of the year Darrin Sullivan, also from Kelseyville beat Randy Houston of Medford, Oregon by inches to claim the 2nd annual Lloyd Burton Against-the-Wind Challenge. 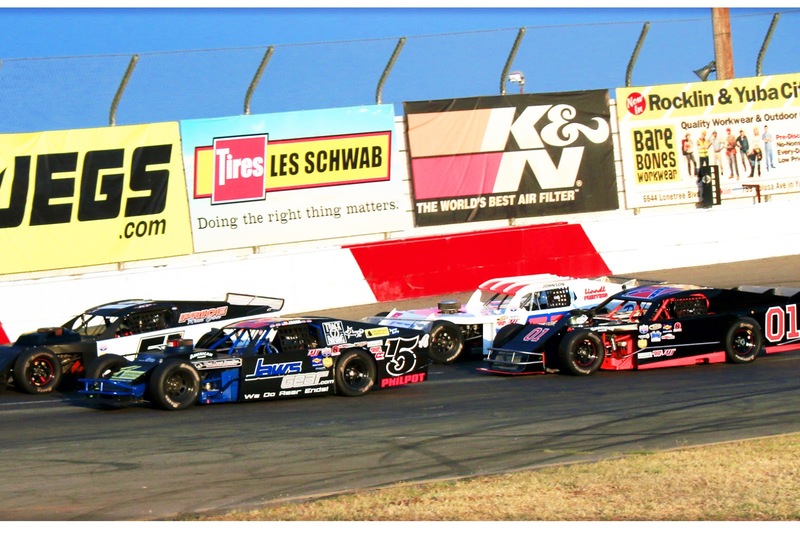 All three of these contenders will be back to run in this first of two events slated for Shasta Speedway. Other drivers expected to compete are 3-time NSMS champion Darrin Knight of Kelseyville, 2016 Shasta winner Jason Philpot of Sacramento, Cloverdale's Dustin DeRosier, Adrianna Strugnell of Kelseyville, , 2017 Rookie of the Year Simi Tour of Potter Valley, Roseville driver Terry Deal, brothers Eric and Kris Price from Rio Linda, Oregon driver Rich Cobb, and many-time Shasta Speedway champion Guy Young of Redding. Racing action on the 3/8th mile will also include Bombers, Hornets, Legends Cars,and Vintage Open Wheel Super Modifieds and Sprint cars. . Racing gets started on Friday with practice at 2:00 pm. On Saturday, pit gate opens at 10 am. Practice, qualifying, and racing will follow. Eureka, CA (May 6, 2018) – Mother Nature decided to be more cooperative this past Saturday night as Redwood Acres Raceway held the first race of the 2018 season. The year was set to begin the previous week on April 28th but rain prevented that from happening. All six divisions were in action on opening night presented by Root 101 Nursery. Prior to the start of the races, Redwood Acres Raceway paid tribute to Kevin Williford with a moment of silence and Eugene Palmer taking a lap around the track in his honor. Williford had been an announcer at the Acres for the past several years. The Compass Community Credit Union roadrunners started off the action with their first main event. Nick Ford set fast time with a 20.423. Bob Ratzlaff jumped to the lead on lap one. A three-wide battle ensued as Tim Ratzlaff and Nick Ford and Bob Ratzlaff. Tim Ratzlaff took over the lead. Ford was able to get by on lap two but two laps later Ray Taylor, Jr. jumped to the lead and never looked back. Tim Ratzlaff scrubbed the wall and was able to continue for a few more laps before dropping out with a flat tire. The best battle on the track was for second as Ford and Ray Taylor, Sr. fought for the spot. Nobody at anything for Taylor, Jr. as he was able to take the win by a sizeable margin. Taylor, Sr. was able to beat Nick Ford to the line for second. Patrick Sproul placed fourth with Dylan Ford finishing fifth. For the second main, the roadrunners were turned backwards around the track. Dylan Ford jumped to the lead and looked like he was going to be a major player. Issues on lap three gave Nick Ford the lead and allowed Sproul into second. The rest of the race was a nip-and-tuck battle between Nick Ford and Sproul. In the final laps, Sproul tried his best to pressure Nick Ford into making a mistake but Ford never did. At the finish it was Nick Ford winning with Sproul taking second, Ray Taylor, Jr. third, Ray Taylor, Sr. fourth and Dylan Ford fifth. The bandoleros made their debut at the 3/8-mile paved oval. Lane Anderson set the fastest time in qualifying with a 22.147. Maleesa Miles was the heat race winner. Kadence Mace led the field to the green flag. Aiden Kimberling took the lead on lap one but on lap two Miles took over at the front. Miles and Anderson had a fantastic duel for the race lead. On lap nine, both drivers spun in turns three and four allowing Mace to take over the lead. Anderson got a good restart and was able to quickly take the lead. Anderson led from that point on and at the drop of the checkered flag it was Anderson winning over Miles. Mace took third, Aiden Kimberling fourth and Donnie Murrell placing fifth after issues at the start prevented him from racing. Fast time in the Fortuna Wheel & Brake/Four Star Realty bomber division was Nick Green. Ryan Walters was victorious in the heat race. Walters took the lead at the start of the race and looked to have a firm hold on the top position. Green chipped away at Walters’ lead and midway through the race, the two were racing hard for the lead. On lap 15, Green prevailed. Green was able to pull away from the field and at the finish it was Green winning. Walters took second over Jim Redd and Sam Brown. In the NorthCoast Lighting & Electric Legends division, Brad Curtice set fast time with an 18.039. Curtice followed up his success in qualifying in the heat race with a victory. MKinzy Uselton and Katina Baker led the field to the green flag. The faster qualifiers quickly tried to maneuver their way to the front. Christ Lawrence took the lead on lap three and was able to hold it until lap 6 when Curtice took over. It appeared as though Curtice’s experience in the Legends cars was going to prevent Lawrence, a former Thunder Roadster driver from keeping up. However, Lawrence’s experience transferred smoothly from one car to another and the top two ran closely all race long. Late in the race, the two leaders caught slower traffic. It appeared as though Lawrence would be able to use both cars as a pick. Curtice was able to maneuver his car better though the traffic and held on to his lead. Curtice was able to take the checkered flag over Lawrence. Brent Mack took third while defending division champion, Tyler Peach placed fourth. Baker rounded out the top five. In the Humboldt Hydroponics mini stock division, Brian Murrell, Sr. was the quickest in qualifying with an 18.286. Jordan Paiment won the first heat while the second heat was won by Eugene Palmer. The first six laps of the main event were caution plagued. Trevor Eacret’s spin in turn two brought out the yellow flag. Troy Lee and C.J. Dalton spun in turn two for another caution. After a jumped restart, Murrell and Dylan Hagmann has issues. A subsequent saw Scott Taylor take over the lead but spin bringing out the yellow and giving Palmer the lead. The last caution occurred when Murrell spun in turns three and four with Paiment hitting the wall. The rest of the race was clean as the field spread out and Palmer ran away. At the finish it was Palmer winning over Eacret, Taylor, Murrell and Gary Klinetobe. The Super Six Challenge Series late models presented by Mid-City Motor World and NorthCoast Lighting and Electric held their first race of the season. Northern California racing legend, Jim Walker showed everyone how it’s done in qualifying with a fast time of 15.685. Scott Baker won the first heat which saw contact between Kenny Demello and Tim Crenshaw in turn four with Crenshaw hitting the wall. David Miller won heat two. Demello was unable to start the 50-lap feature which saw Miller jump out to the lead over Brandon Ash. On the fifth lap, Brandon White began to make his presence felt as he moved past Dane Nissen for third. White then began challenging for the second spot on the high side of Ash. The first caution of the night came out at lap 10 when the two Oregon drivers of Ash and Miller appeared to come into contact. The result was White inheriting the lead over Mic Moulton and Marty Walsh. White appeared to have the car to beat early in the run but as the laps went by, Moulton was able to close the gap. Meanwhile, Walker was making his presence known as he maneuvered past Walsh for third on lap 20. The next 20 laps featured an amazing and clean three-way battle for the lead. White had his mirror full of Moulton while Walker closed in on Moulton’s bumper. Moulton tried to make a move under White several times but was unsuccessful. Moulton was able to get under and past White for the lead just as a caution flew for Scott Baker’s spun car in turns one and two. With scoring reverted to the previous lap, White moved back to the lead. On the restart, Moulton was able to take advantage of what looked to be an ailing #19 car for White. Walker was able to move past White with five laps remaining just as White nearly hit the wall in turn three. The final handful of laps saw Walker making a hard charge on Moulton. With two laps remaining Walker had closed in on Moulton. Walker appeared to have the stronger car but unfortunately for him, time ran out. Moulton was able to hang on to the finish in what might already be the best race of the entire 2018 season. David Henderson had a solid night and placed third over Ash and Miller. The Port of Tucson Twin 150s will air on NBCSN. The first race will be Wednesday, May 9 at 6 p.m. ET, while the second will air on Thursday, May 10 at 6 p.m..
1. (4) Kody Vanderwal, LaSalle, Colo, Ford, 100 laps, 72.038 mph. 2. (2) Derek Thorn, Lakeport, CA, Ford, 100. 3. (6) Ryan Partridge, Rancho Cucamonga, Calif., Ford, 100. 4. (1) Derek Kraus, Stratford, Wis., Toyota, 100. 5. (13) Vanessa Robinson, Las Cruces, N.M., Ford, 100. 6. (9) Devin Dodson, Ocean City, MD, Ford, 100. 7. (3) Cole Rouse, Fort Smith, Ark., Toyota, 100. 8. (8) Hailie Deegan, Temecula, CA, Toyota, 100. 9. (12) Will Rodgers, Solvang, Calif., Ford, 99. 10. (11) Todd Souza, Aromas, Calif., Toyota, 99. 11. (10) Trevor Huddleston, Agoura Hills, Calif., Ford, 99. 12. (5) Matt Levin, Tucson, Ariz., Chevrolet, 99. 13. (7) Ron Norman, Tucson, Ariz., Chevrolet, 98. 14. (15) Jesse Iwuji, Carrolton, Texas, Chevrolet, 97. 15. (17) Bill Kann, Scottsdale, Ariz., Chevrolet, 97. 16. (14) Cassie Gannis, Phoenix, AZ, Chevrolet, 97. 17. (16) Takuma Koga, Nagoya, Japan, Chevrolet, 96. 18. (18) Hershel McGriff, Bridal Veil, Ore., Toyota, 94. Lap Leaders: D. Kraus 1-10; K. Vanderwal 11-98; D. Thorn 99; K. Vanderwal 100. Standings: 1. D. Kraus, 88; 2. D. Thorn, 85; 3. R. Partridge, 80; 4. C. Rouse, 79; 5. H. Deegan, 73; 6. K. Vanderwal, 71; 7. T. Huddleston, 71; 8. M. Levin, 65; 9. W. Rodgers, 63; 10. R. Norman, 62. 1. (4) Kody Vanderwal, LaSalle, Colo, Ford, 100 laps, 60.647 mph. 2. (5) Ryan Partridge, Rancho Cucamonga, Calif., Ford, 100. 3. (2) Derek Thorn, Lakeport, CA, Ford, 100. 4. (3) Cole Rouse, Fort Smith, Ark., Toyota, 100. 5. (7) Trevor Huddleston, Agoura Hills, Calif., Toyota, 100. 6. (12) Vanessa Robinson, Las Cruces, N.M., Ford, 100. 7. (11) Will Rodgers, Solvang, Calif., Ford, 100. 8. (6) Hailie Deegan, Temecula, CA, Toyota, 100. 9. (13) Devin Dodson, Ocean City, MD, Ford, 100. 10. (9) Ron Norman, Tucson, Ariz., Chevrolet, 100. 11. (1) Derek Kraus, Stratford, Wis., Toyota, 99. 12. (8) Matt Levin, Tucson, Ariz., Chevrolet, 99. 13. (17) Bill Kann, Scottsdale, Ariz., Chevrolet, 99. 14. (10) Todd Souza, Aromas, Calif., Toyota, 97. 15. (15) Cassie Gannis, Phoenix, AZ, Chevrolet, 72, accident. 16. (14) Takuma Koga, Nagoya, Japan, Chevrolet, 52. 17. (16) Jesse Iwuji, Carrolton, Texas, Chevrolet, 40, accident. Caution Flags: 3 for 19 laps. Lap Leaders: D. Kraus 1-5; R. Partridge 6-14; R. Norman 15-28; R. Partridge 29-87; D. Thorn 88-95; K. Vanderwal 96-100. Standings: 1. D. Thorn, 127; 2. R. Partridge, 124; 3. D. Kraus, 122; 4. C. Rouse, 119; 5. K. Vanderwal, 118; 6. T. Huddleston, 110; 7. H. Deegan, 109; 8. W. Rodgers, 100; 9. R. Norman, 97; 10. M. Levin, 97.